Hey hope your all good guys. So here’s a shout out to to my favourite girl Chantal(she’s been wanting one for ages),I know your reading this so here it is I love you (a lot). 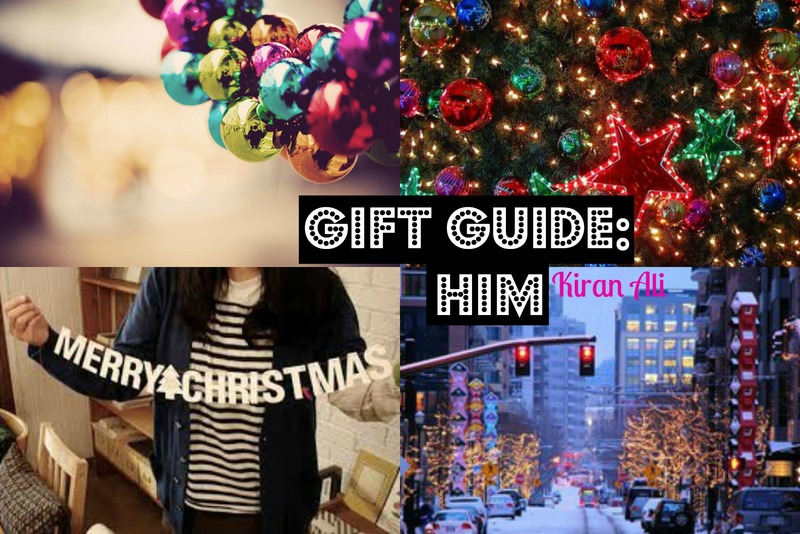 Today’s another gift guide: Him. 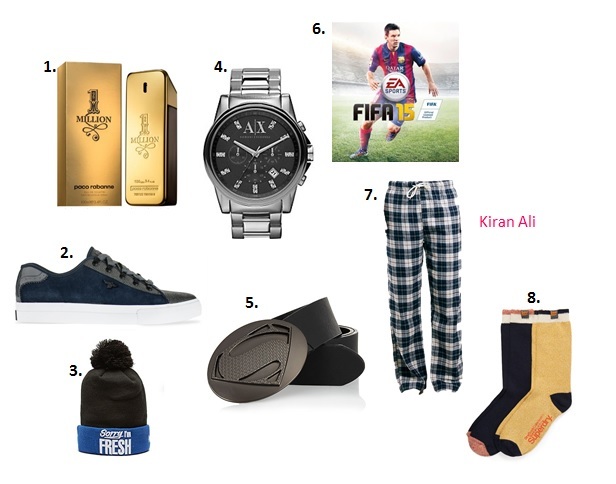 For all the ladies who may not know what to get for their lads. 1. Million man – The Perfume Shop. This has the most gorgeous smell! It’s perfect. 2. Kaplan 414 – Creative Recreations. I think these are beautiful I’d do wear these. The navy colour is stunning. 3. New era hat – JD. The hat says it all. 4. Armani exchange watch – H. Samuel. This is such a glamorous watch. The lads will love it. 5. Black superman plate belt – River Island. I find this super cute every girl needs a superman. 6. Fifa 15 – GAME. Which lad doesn’t love Fifa none right? Exactly. 7. Grey check bottoms – Topman. These are super winter themed and look so lush. 8. Copper label socks – Superdry. Cosy socks to keep the feet warm during the cold nights. Hope your enjoying gift guide’s. Thank you very much i appreciate it,but what does that do?